1. Title and when it comes into force. 2. Definitions: Here is where the “unborn” is given a definition as a ‘life’ that commences after the implantation of it in the womb of the woman to the emergence of it from the body of the woman. 3. The Minister for Health can specify institutions as appropriate for the carrying out of the legislation. These decisions can be annulled by the Houses of the Oireachtas. 4. The Minister can make regulations to bring the legislation into operation. These decisions can be annulled by the Houses of the Oireachtas. 5. Sections 58 & 59 of the Offences against the Person Act 1861 are repealed. 6. Expenses to carry out the legislation shall be paid by the Oireachtas. • Where it is at an appropriate institution. • This can only be averted by carrying out an abortion. • One of the practitioners is an obstetrician, the other of a relevant speciality. • The practitioners can consult the woman’s GP with her permission. • The decision to carry out an abortion shall be forwarded to an appropriate institution. • The medical practitioner has to certify such a decision. Where it is not practicable, it should be done not later than 72 hours after the operation. • Where it is carried out by an obstetrician at an appropriate institution. • Where 3 medical practitioners have certified that there is a real and substantial risk of loss of the woman’s life by way of suicide and that this risk can only be averted by carrying out an abortion. • One of the 3 medical practitioners shall be an obstetrician who works at an appropriate institution, one shall be a psychiatrist who works at an appropriate institution and one shall be a psychiatrist who works at an appropriate institution and/or works for the Executive. • One of the psychiatrists should provide or should have provided mental health services to women in respect of pregnancy/childbirth/post-partum care. • If the medical practitioner doesn’t give an opinion or gives an opinion that doesn’t call for the certification of an abortion, the woman can review the decision. • The woman or someone on her behalf can make an application to the Executive for a review of the decision. • The Executive shall establish a panel of 10 medical practitioners. • Membership of this panel is only open to medical practitioners. • The Institute of Obstetricians and Gynaecologists, the College of Psychiatrists of Ireland, the Royal College of Surgeons, and the Royal College of Physicians of Ireland will be asked to nominate medical practitioners. • When the Executive receives an application from a woman to have a decision on whether she should be allowed to have an abortion reviewed, they must not later than 3 days establish a committee to review the relevant decision. • The membership of this committee shall be drawn from the Review Panel. • Where the relevant decision being reviewed relates to risk of loss of life from physical illness, the committee shall consist of an obstetrician and a medical practitioner of a relevant speciality. • Where the relevant decision being reviewed relates to risk of loss of life from suicide, the committee shall consist of an obstetrician and 2 psychiatrists. One of the psychiatrists should provide or should have provided mental health services to women in respect of pregnancy/childbirth/post-partum care. • A medical practitioner can’t sit on the committee if they were consulted by the woman about the matter which has led to a decision being reviewed. • The Review Committee shall complete its review of a decision no later than 7 days from when the committee was established. • The Review Committee can examine the pregnant woman. • Where the Ctte has completed its review and believes there is a real and substantial risk of loss of the pregnant woman’s life from a physical illness or suicide and this can only be averted by carrying out an abortion, it can certify this and inform the woman or the person acting on her behalf and the Executive. 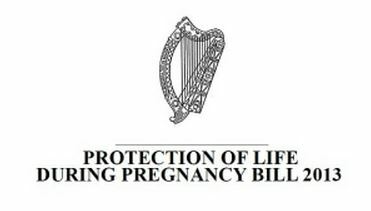 • Where the Ctte has completed its review and doesn’t believe there is a real and substantial risk of loss of the pregnant woman’s life from a physical illness or suicide and this can only be averted by carrying out an abortion, it should inform the woman or the person acting on her behalf and the Executive. • The certification of an abortion by the Ctte must come from all of the members. • The woman or, a person acting on her behalf, is entitled to be heard by the Ctte. • The Ctte can require a medical practitioner or former medical practitioner to produce to the Ctte relevant documents in the practitioner’s possession, or give advice/answers to help the Ctte carry out its review. • The Ctte can determine its own procedures. • The Executive shall provide administrative facilities for the Ctte to carry out its functions. • A member of the Ctte shall be paid by the Executive. • A person called to furnish documents or give advice to the Ctte shall be paid by the Executive. • A medical practitioner who fails to appear before the Ctte is guilty of an offence and liable to a fine, as prosecuted by the Executive. • The Executive shall submit to the Minister for Health a report on the operation of the previous procedures outlined, no later than June 30th each year. • This report shall include the number of applications for review received by the Executive, the number of reviews carried out, the reason why reviews were sought and the outcome of the reviews. • The identification of any woman, or any person acting on her behalf, who has made an application should be excluded from the report. 16. Nothing shall affect the law in relation to consent to medical treatment. • No medical practitioner is obliged to carry out an abortion where they have a conscientious objection. • This is separate to any duty to carry out an abortion which is immediately necessary in order to save the life of a woman. • A person who has a conscientious objection should transfer the care of the woman so she can avail of an abortion. • Nothing in this Act shall limit travel to another country or information on procuring an abortion in other countries. 19. Certification: A certification may include the clinical grounds for carrying out an abortion. • Where an abortion is carried out in an appropriate institution, the person in charge of the institution shall keep a record of the carrying out of the abortion. • A copy of that record should be sent to the Minister for Health no later than 28 days from the carrying out of the abortion. • Where an abortion is carried out in a location other than an appropriate institution and there was an immediate risk of loss of life to the woman, the medical practitioner who carried it out or the person in charge shall keep a record of the carrying out of the abortion and send it to the Minister for Health no later than 28 days from the carrying out of the abortion. • In the record, the information needed is as follows – the Medical Council Registration Number of the medical practitioner who carried out the abortion; whether the abortion was due to risk of loss of life from physical illness, risk of loss of life from physical illness in emergency or risk of loss of life from suicide; the name of the appropriate institution where the abortion was carried out or the name of the institution where the abortion was carried out due to the immediate risk of loss of life to the woman. • The Minister for Health should publish the report of all these notifications. Any information identifying the woman concerned should be removed. • It is an offence to intentionally destroy unborn human life. • A person guilty of this offence is liable to imprisonment not exceeding 14 years. • A prosecution for such an offence may only be brought by the DPP or with his/her consent. • A medical practitioner who carries out an abortion due to risk of loss of life from physical illness, risk of loss of life from physical illness in emergency or risk of loss of life from suicide is not affected by this. • Where an offence under this Act is committed by a body corporate, and the offence was committed with the consent of or due to the negligence of any officer of that body corporate; that person and the body corporate shall be guilty of an offence.